Home announcements Application Applications game Games Review Special Offers Gamble With A Christmas Twist With Celeb Poker For iPhone! Gamble With A Christmas Twist With Celeb Poker For iPhone! 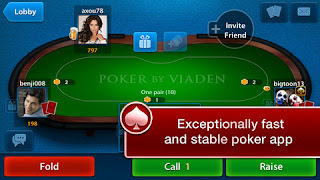 The winner of our Free App Poll this week is Celeb Poker by Viaden Media! This great app with a fun, Christmas twist will stuff your stockings with the never-before-seen Christmas Deals while you play the hands! Those who enjoy fast gameplay and a close-knit community, this free app by Viaden Media guarantees super-quick performance and a solid support team that even Santa and his elves can’t match. • Integrated music player: So you can listen to Jingle Bells until your ears melt. • A tight-knit holiday community. (They may not be the best elves in the workshop, but they’re definitely the most attractive). The gameplay is elegantly simple, thus aesthetically pleasing. The available game type alternatives are Texas Hold'em and Omaha Hi, with a chance to partake in international Christmas tournaments and get your position on a highly respectable leaderboard! Gift exchange and variety of achievements are also available, along with the social interaction facilitation via Facebook and Twitter. 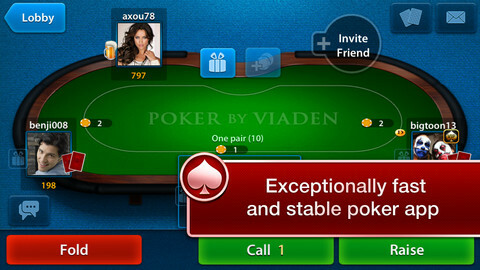 Other handy features of this elite club of poker players from around the globe include gameplay customization options, such as tables based on playing preferences, freedom to upload your own avatar and multiple log-in options including: Facebook, Game Center, New Account, and Guest. • Christmas bonuses, special offers and promotional events! Celeb Poker is available in the Apple App Store for free and requires iOS 4.3 or later to be fully functional on your iPhone, iPod touch and iPad.